Just over a month ago, I wrote a blog on my thoughts regarding the Idaho Statesman's "Best of Treasure Valley" poll. Mostly it was me ranting and griping, and the first thing I discussed (indeed, the thing that made me want to write the blog entry in the first place) was the "Best Asian Restaurant" category. Long story short, I copped a little attitude about all the people in the comments section of the page bitching about the fact that there's no decent Chinese food to be found in the Treasure Valley. I mostly agree with that sentiment, but in the name of playing devil's advocate I took the stance that regardless of the lack of authentic Chinese cuisine, the Statesman's readers still had to choose what they felt was the best of what's available. The restaurant that won the poll this year (as well as the previous two) was Golden Star, and while I still feel my point is valid overall, I sincerely regret that my comments could be construed as a defense of the restaurant itself or their food. 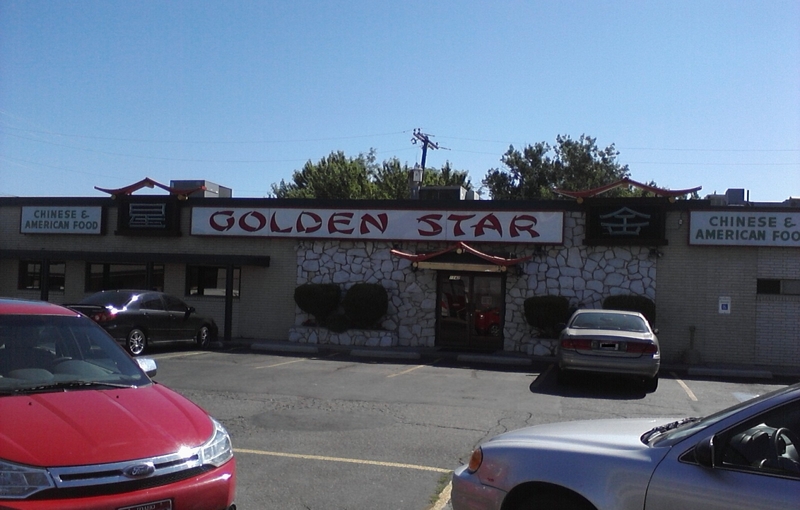 At the time of the aforementioned Statesman poll for 2010, it had been about 15 years since I'd last eaten at Golden Star. It used to be a staple for me and some of my friends because the food was good, they were open late and they were pretty centrally located. 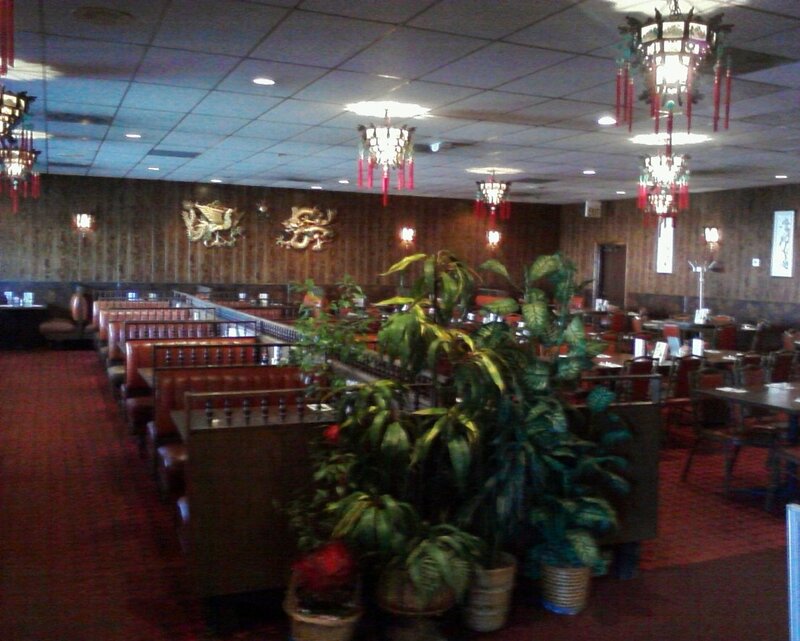 However I, incorrectly or not, always assumed they had some kind of relationship with Mandarin Palace, since they always seemed to advertise together in the newspaper and phone book. 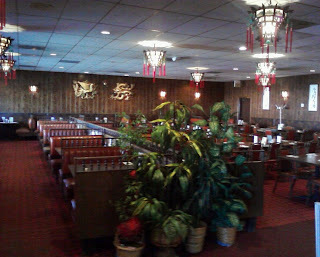 I went to Mandarin Palace much more often back in the day due to their cheap lunch menu and close proximity to the place I was working at the time, but all at once their food went way down in quality. I never got sick or anything, but suddenly the flavors were just off. After a few bad visits in a row, I stopped going, and I stopped patronizing Golden Star for good measure. That's how it came to be fifteen years between visits, but after the accolades from the Statesman's readers for two solid years, I started thinking I should give them a chance again. The third year clenched it. So, I called in a take-out order for one of their classic Americanized combo meals, the combination #3 dinner with fried rice, sweet & sour pork, chow mein and egg roll. I was feeling pretty good going into the place. The hype was working and the restaurant looked pretty much the same as I remembered it, both inside and out, clean and well-maintained. The staff was still friendly and efficient, and I'd only been there a few minutes when my order was handed to me. It had also been a while since I'd had Chinese, and I'd even skipped breakfast in anticipation, so I was hungry and looking forward to this. The bag was heavy, and I was positive I could get at least two very decently-sized meals out of the contents. 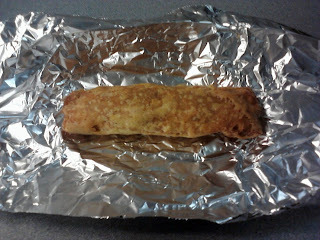 I resisted the urge to at least start working on the egg roll until I got back to work, and was happy I had done so once I saw it. I have a cookbook full of dim sum recipes , and the one for egg rolls involves using a light wrapper to roll everything together, then battering the package and deep frying it instead of using the pre-made, thick and chewy variety that most of the restaurants use. I knew immediately this was one of the battered kind. Unfortunately, my first bite sucked quite a bit of the enthusiasm out of me. This may be an entirely personal observation, and to be honest I don't know whether the issue was with the batter or the oil they used to fry it, but the thing tasted like fish and chips to me. Not to say it tasted or smelled like fish, it was just the batter or oil, but it was disconcerting enough that I lost my enthusiasm for the egg roll pretty quickly. Oh well, I was sure it must be a fluke. I turned my attention to the chow mein so I could enjoy it before the noodles turned mushy. When I opened the chow mein box, I found myself staring at a thick layer of crunchy noodles. I started mixing them with the vegetables and gravy, and I was liking the result quite a bit. 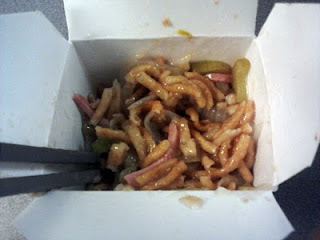 I've never had a vegetable chow mein before, and I was digging the light, mild flavors. Eventually though, I discovered a layer of chopped pork at the very bottom of the container, and realized it must actually be pork chow mein (the menu hadn't specified). Mixing the pork in resulted in a weak, stew-like flavor which ruined the dish, at least for me. I set it aside, and moved on to the sweet and sour pork. This one disappointed me immediately. I couldn't (and still can't) recall the last time a Chinese restaurant had just dumped a little sauce in with the food and called it good. 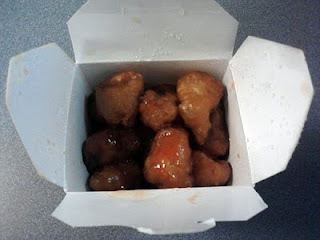 Generally, restaurants put the meat in a box and then the sauce in a smaller box or a little Styrofoam or plastic container. I did discover a little pool of extra sauce at the bottom of the box, and the breading on those pieces had become soggy and was falling apart. I lost all interest in this dish when I found the third large chunk of gristle. Also, as you can see above, not all of the pieces of pork had gotten a lot of sauce on them. I tried one nearly dry piece, and I'll be damned if I didn't taste that fish and chips batter again. Finally I moved on to the fried rice, which ended up being the best part of the meal. 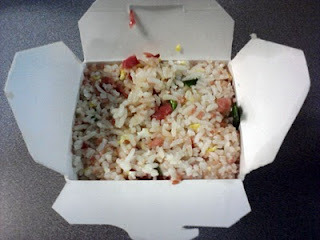 It was pretty much just the way I like it, not too oily and with egg, scallion and crispy little bits of ham throughout. I'm just not one of those people who enjoy peas and carrots in my fried rice. If I happened to be in the area and just wanted a box of fried rice to go, I'd consider stopping in again, but I think it unlikely that I'll ever actually return. In the bag, along with a napkin, plastic fork, little plastic tub of Chinese hot mustard and one (?!) 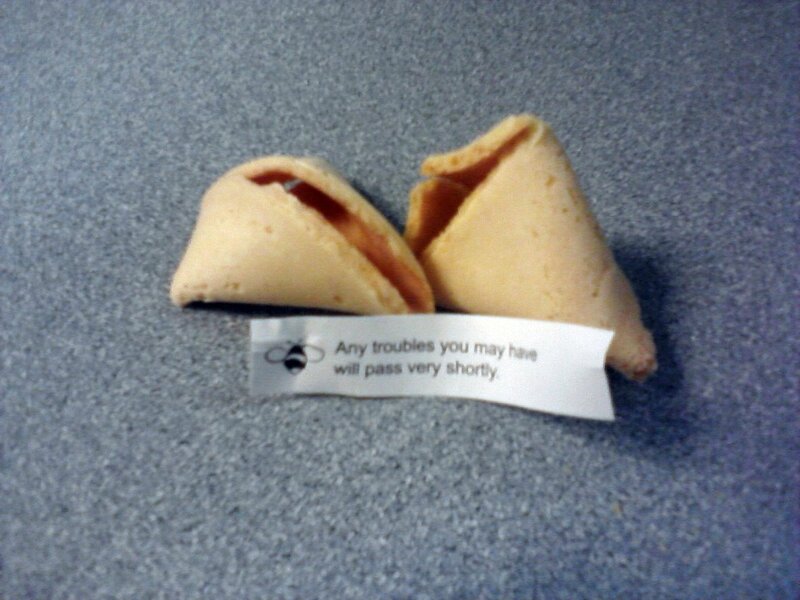 packet of soy sauce, there was a fortune cookie. Something about it just put me off. 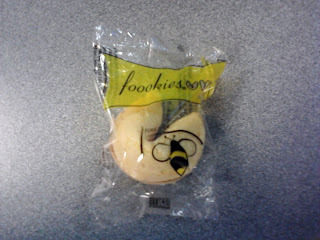 Maybe it was the brand name and logo on the package? The ingredient list? The nutritional info? The only time I've ever been hit with a reminder this big that I wasn't eating "real" Chinese food was the time in New York when my fortune had a freaking advertisement on the back.